Any notifications you receive while your device is locked will display on your lock screen. 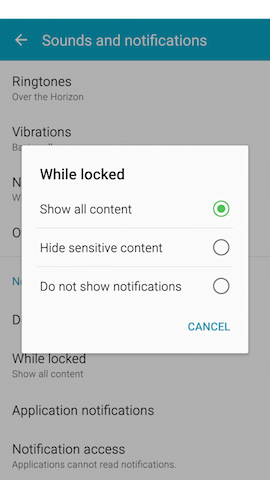 By default, any sensitive content is hidden, but you can change the lock screen notification settings to show more information or none at all. 3. 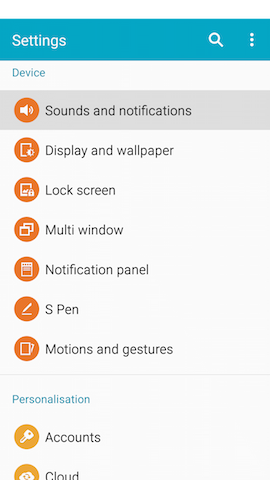 Scroll to and touch Sounds and notifications under Device . 4. 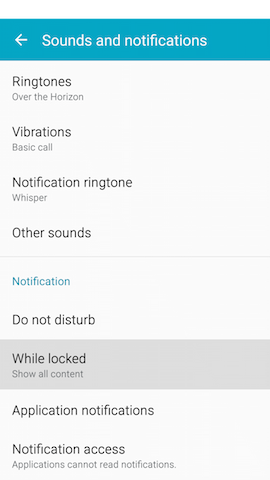 Scroll to and touch While locked to choose the notification behavior while your screen is locked. Select Show all content, Hide sensitive content, or Do not show notifications to turn off lock screen notifications completely.